Jacques Sapir: The image of a “stabilization” in the euro area has come about because of a temporary shift in instability, from the financial sector to the real economy. Since autumn 2012 the European Central Bank, chaired by Mario Draghi, has decided to buy sovereign debt in the secondary market of those countries struggling the most, and therefore more vulnerable to speculation. This has allowed interest rates to return to a somewhat lower level and has given the illusion of stabilization. But at the same time, the crisis in the real economy, seen by the explosion of unemployment and the fall in production, continues in the countries of Southern Europe. This crisis is actually growing stronger because its effects are cumulative. In all the countries of southern Europe, there has been a temporary halt to the slide. But this stability does not mean a resumption of growth. Thus, the trade balance of these countries has improved mainly through a sharp contraction in imports and not a significant increase in exports. Today, we have probably reached the point where the decline will resume. There are several reasons for this. On the one hand, investment in the countries of Southern Europe has fallen since 2010 (and in some cases since 2008). At some point, this will result in a weakening of the productive apparatus, and therefore labour productivity, one of the determinants of competitiveness. This weakening is actually accelerated by the strong contraction of credit that we are seeing in these economies (Greece, Italy and Spain, but also in France). This contraction penalizes small and medium enterprises most, the sectors which – in theory – are best placed to take advantage of lower costs in these economies. Austerity as an exit strategy from the crisis is based on the idea that lower costs will cause a sharp increase in supply. But for this to happen companies must still be able to invest to launch new products or simply finance the continuation of activity. However, they no longer have the means to do this because of the contraction of production has resulted in a strong squeeze on profit margins [therefore they lack their own funds to invest], and they cannot borrow from banks. This is what explains the absence of a supply-driven recovery. On the other hand, households have managed so far to absorb, with varying degrees of success, downward pressure on wages and income tax increases, by drawing on their savings. But this is like trying to plug the gap in production by drawing down stocks. After a while, the stocks (in this case, savings) are exhausted and demand will decline sharply, bringing production down with it. Societal mechanisms, particularly intergenerational transfers [of wealth], are exhausted too. People have reached the limit economically, but also – and this is important – politically. If you add to this that outside of Germany, industrial production is declining or stagnant in the Eurozone (including Germany, it is broadly stagnant overall). In addition, while there is a slight decrease in nominal interest rates, because inflation has also declined, real interest rates are moving upwards. The capacity of southern European countries to regain fiscal balance and ensure the financing of their debt is thus compromised by all these factors. In fact, debt continues to grow, and in some cases very quickly, such as in Spain. The increase in debt, amplified by the interest rate, weighs increasingly on the public finances of the concerned countries. There will be a time when financial markets understand that the ECB does not have the means to redeem all of the debts of the exposed countries without a radical change in policy that will cause a major conflict with Germany. From this point, a new wave of speculation will begin. Thus, the factors that have halted the slide are unfortunately not sustainable. In early 2014 we should see the situation deteriorate again. The fact that the Spanish industrial output is declined in October is probably a harbinger. In this context, it is clear that any external shock, even if relatively small, could send the eurozone back into an acute crisis. For example, a change in the policy of the U.S. Federal Reserve. But a slowdown in China could also play a negative role. In fact, the Euro zone is in an extremely fragile situation, that could take a turn for the worse, from one day to the next. Kefalaio: What is the future of Franco-German relations after the CDU-SPD coalition agreement? Do you expect some sort of compromise especially with regard to the banking union? Jacques Sapir: Hiding behind the pretence of diplomatic hugs, and joint communiqués, are growing tensions between France and Germany. 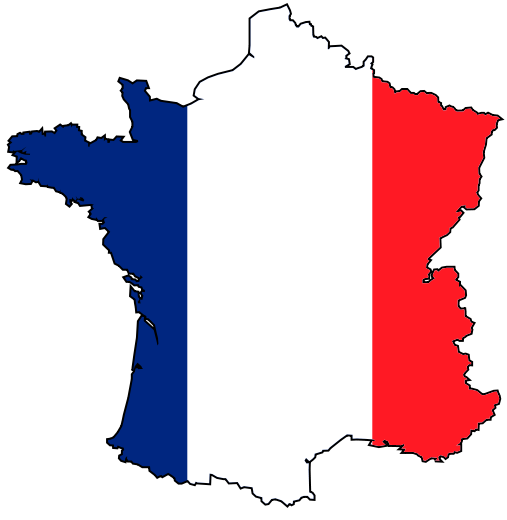 The French government must have the honesty to say, it hoped for the defeat of Merkel and for the SPD to come to power, or at least a coalition dominated by the SPD, which would establish a pay raise in Germany. But what was predicted, and I stress here the deep illusions of the French government, has occurred. Mrs Merkel has limited her loss of seats. A coalition dominated by CDU-CSU is in power. There will be no wage recovery in Germany. If Merkel, as part of the coalition agreement, had to agree to a minimum wage, it should be noted that the date of application is postponed to … 2017. This is the same scenario that is at work with banking union in which France had invested many hopes. Between October 2012 to today, we have seen the scope of this banking union drastically reduced, and Germany, not content with this, is constantly delaying the date of introduction. The last “trick” invented in Berlin was to invoke the need for a treaty change. This postpones banking union to at least 2016 or later. In reality, it is clear that Germany said “yes” publicly, because it does not want to bear the political responsibility of a breakup of the Eurozone, but it will apply a policy of “Nein! once the agreement is signed, using various tricks, both political and economic. Germany schemes, as in the time of Weimar’s Gustav Stresemann, but this time from a strong position. Indeed, France abandoned any intention – and therefore any means – of actually negotiating with Germany the day when its leaders said that European integration was their ultimate goal. You can only negotiate if you can convince the other side of the table that you have other options. However, since 1983, from what is called the “European turning point” of François Mitterrand, France has put its head on the block and now simply asks Germany “five minutes, Mr. Executioner “. German leaders have understood this, and they make superficial sacrifices that allow the French government to save face. In practice, we have become spectators of German policy, a policy that looks after the interests of Germany, but masks this under the guise of the European construction. This is one of the reasons for the rise of a powerful anti-European sentiment in France but also in Italy, Spain and Britain. Kefalaio: In your opinion, what is the determining cause of disappointing growth figures, employment and deflation in France? Restrictive fiscal policy – and if so, how? Jacques Sapir: Poor economic performance in France has several explanations, which combine and reinforce one another. The first explanation is simple: these results derive from a Euro at $ 1.35 and, the very existence of the Euro. France’s trade with the eurozone represents about half of its total trade and, after Greece, it is one of the least integrated into the bloc. France is paying for a very expensive Euro exchange rate, which perhaps suits Germany because of its industrial specialization, but certainly not the French economy. Calculations show that for the French economy, the exchange rate should be $1.04. Whenever the rate increases by 10%, and $1.35 is 30% above that amount, France loses about 1% growth. In fact, we lost the equivalent of 3% growth with a rate of $1.35. Also, being at the same level as Germany, which is an important partner, we also disadvantaged because of the gap in competitiveness between our two economies. A decrease in the exchange rate of the Euro against the Dollar would be a partial solution. Here we must add that for countries like Italy and Spain, which are much more integrated, it would not be a solution at all. For these countries, it is the exchange rate with Germany and with Northern Europe in general that is important. Then there is budgetary and fiscal policy. This policy, moreover, is the result of the existence of the Euro. France gives tax benefits to companies equivalent to 3.5% of its GDP to partially compensate them for the loss in competitiveness linked to the Euro. In 1995, these tax deductions were about 0.5% of GDP. The increase in corporate tax breaks has been very strong since 1999. France has made a great effort to reduce our deficit for more than two years. This effort began with the previous [right-wing UMP] government (François Fillon) and continues with the current socialist government. But it is not very effective, and this year we have a deficit of 4% of GDP, while in 2014 a deficit of 3.7% is expected. But if we left the Euro, we could easily remove the greater part of these tax deductions, and thus return to obtaining 3% of GDP in tax revenues. One can see immediately that under these conditions the deficit would fall to very low levels. So France is penalized directly and indirectly by the Euro. Note that if France left the euro, the rapid gain in growth due to the large devaluation that would accompany exit, would automatically lead to a rise in tax revenues, and that the budget would therefore end up very quickly in surplus. The current budget deficit is the product of economic stagnation which causes stagnation of tax revenues. But attempts to reduce or increasing taxes (which has been done for two years) or bearing down on public spending (which the Right wants to do), causes a significant depressive effect on the economy. The IMF’s Olivier Blanchard , indicates that the fiscal multiplier, that is, the relationship between rise or fall in government spending or tax collection and GDP growth is greater than 1. 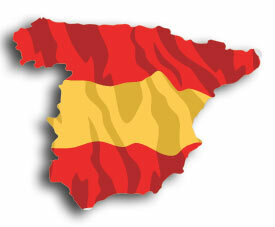 We know that it is 1.7-1.9 for Spain and Italy, and probably around 1.4 for France. 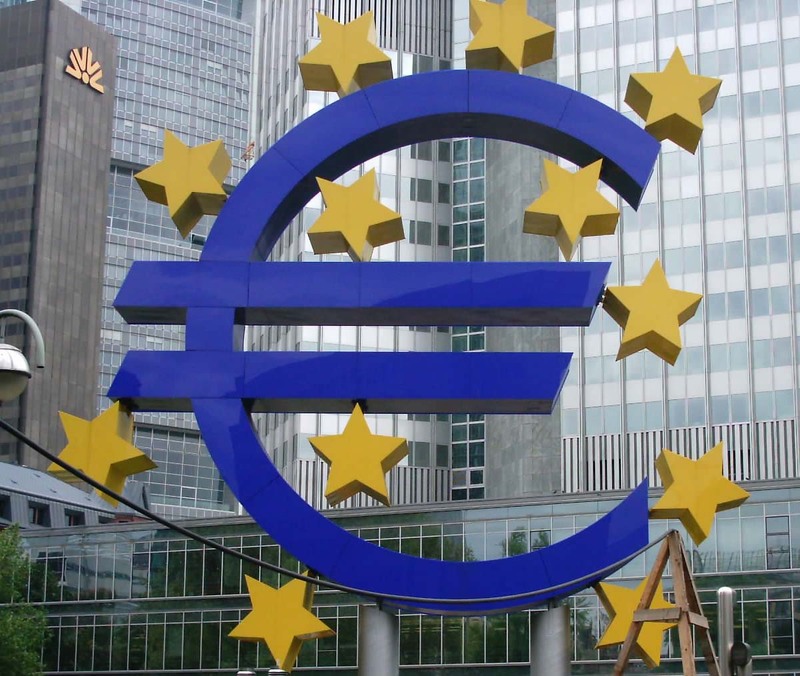 Kefalaio: What are the possibilities within the eurozone, of introducing compensating mechanisms to correct the imbalances caused by the architecture of the monetary union? Notably, what margin to renegotiate austerity plans do peripheral countries in the euro zone have? Jacques Sapir: A monetary union can only work if you have significant cash transfers within it. In the late 1970s, when we started talking about a single currency in Europe – and yes the Euro was not born yesterday – it was felt that there would need to be a federal budget of approximately 10% of Eurozone GDP. Currently, the EU budget is 1.23%, eight times less! In practice, this means that Northern Europe should transfer to southern Europe (and consider that France does not belong to this latter group, which is highly debatable) between 250 and 260 billion Euros. This means that Germany would have to pay 220 to 232bn Euros annually, or approximately 8% to 9% of its GDP . Who seriously believes that such a thing is possible, and moreover, on an ongoing basis ? This critically undermines so-called European “federalism” strategies. Of course, in theory, such theories are elegant and may even be desirable. But in reality, it would require an unbearable pressure on Germany. The only way to make Germany pay would be to invade! A beautiful illustration of the idea of unity that turns into its opposite when confronted with reality. A war on Germany to run Europe in a Federal fashion. If we now look at the possibility of renegotiation of austerity measures that have been imposed by the EU and the ECB in Southern Europe (within the Troika it has been the EU and the ECB that have been the advocates of the hard line, not the IMF) we can conclude that they are almost nil. Should either Greece or Portugal reject an austerity plan, European payments would stop immediately. If in these countries, political leaders understood that it is better to leave the Euro than to accept this slow death, and they said to the Troika: enough! If you stop the payments we will exit the Euro and we will default on our debt! Perhaps, in this case, these countries would have some possibility of renegotiating austerity plans. But as they are not willing to do this, they have no chance. Which takes us back to acknowledging the failure of the Euro, and thus the need to exit it as quickly as possible, if possible in a co-ordinated manner, if not by breaking it up. The persistence of very different inflation rates across the different Eurozone economies  despite a unified monetary policy, in theory (and practice) is lethal for a single currency, save in the case of huge fiscal transfers, for which there are no political conditions. Kefalaio: You suggest the solution is an organised return to national currencies. What political balance for forces could lead to an advance of such a plan? What political forces or what sectors of capital are more willing to embrace a policy of returning to national currencies? What are the risks? Jacques Sapir: The situation is quite different depending on whether it is viewed from a small peripheral country(Greece, Portugal) or a country like France or Italy. It is clear that the day the French or Italian government, say to other governments: “The Euro is dead, do what you want, but we are leaving the Euro area whatever happens,” the Eurozone disappear instantaneously. 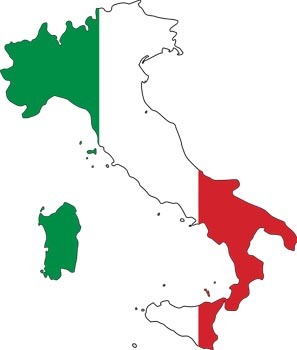 France cannot remain in the Euro if Italy comes out, due to the structural similarity of these two economies, so if France exits, Italy, and Spain must leave too. From the perspective of Germany, the benefits from the Euro disappear and the zone becomes a kind of “Grand Deutschmark”, but for Germany, greater disadvantages (management of the ECB, negotiations with other countries , …). In fact, the balance of power is actually in favour of countries like France and Italy at this point. If they act, they start an irreversible momentum, compelling other countries to negotiate an agreed solution. In these countries, the issue of the Euro has cemented divisions between, on the one hand, financial capital, or more precisely “financial-industrial” capital, which includes banks, insurance companies, but also very large companies with a large share production outside the eurozone but which can borrow in Euros, and on the other hand, the more traditional “industrial” capital, the small and medium enterprises. You can add to this divide the opposition between capital that has become “comprador”, and capital that remains bound to its national base. Within the population, objectively only the elite whose incomes are detached from the activities of the real economy, who make up between 5% and 10% of the population, actually have an interest in maintaining the Euro. Even the middle classes have no interest in keeping it, and the popular classes (private sector workers, low and middle income public servants) certainly not. You see this in the polls, which show that the popular classes have largely concluded that the Euro is an economic evil. The main problem is, on the one hand, the lack of autonomy of “industrial” capital with respect to “financial-industrial” capital, and secondly the ideological dimension, which we can describe as religious, that traditional Left’s attachment to the Euro. Without this, the Euro would already have died two or three years ago. A break between the “financial-industrial” capital and “industrial” capital appears to be underway in Italy, where important debates pitting supporters and opponents of the Euro within the business community. But it will take the destruction of the hegemony of the traditional left before we see a radical shift in opinion. This destruction can take many forms, from a split within the social democratic parties, to their electoral collapse in favour of new forces. In France, this collapse seems to be in favour of forces on the far-right, the Front National, which is its changing nature today because of this process. In Italy, there is a new movement, Beppe Grillo’s Five Star Movement, which seems to enjoy the erosion of the traditional left. The story, from this point of view, has yet to be written. O. Blanchard et D. Leigh, « Growth Forecast Errors and Fiscal Multipliers », IMF Working Paper, WP/13/1, FMI, Washington D.C., 2013. Voir aussi : T Baunsgaard, A. Mineshima, M. Poplawski-Ribeiro, and A. Weber, “Fiscal Multipliers”, in Post-crisis Fiscal Policy, ed. by C. Cottarelli, P. Gerson, and A. Senhadji, Washington: International Monetary Fund, Washington DC, 2012. Spilimbergo, A., Symansky, S., et M. Schindler, 2009, “Fiscal Multipliers,” IMF Staff Position Note, SPN/09/11, Mai 2009, FMI, Washington DC..